Investing in a pest control company requires trust. You have worked hard to build a comfortable home, and want to make sure it stays that way. To help you feel more comfortable with our services, we have created an outline of exactly how a few of our certifications contribute to the safety and effectiveness of your service. Investing in a pest control company requires trust. You have worked hard to build a comfortable home, and want to make sure it stays that way. By researching services like residential pest control, termite control, and even mosquito control, you are already on the right track. But how can you be sure your termite control really is protecting your home from expensive damages? Is it possible to feel assured that your family can be safe from disease-carrying pests and protected during the pest control process? To help you feel more comfortable with our services, we have created an outline of exactly how a few of our certifications contribute to the safety and effectiveness of your service. In order for a pest control company to be QualityPro Certified, each technician must pass a series of tests that cover topics ranging from pest biology to on-site safety and professionalism. 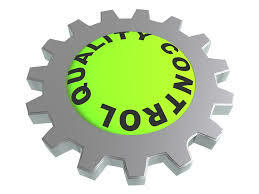 Triangle Pest Control has 16 technicians, all of whom meet QualityPro standards. We hope this answered any questions you might have had regarding our treatment processes. For more information, or to schedule a same-day pest control service in Charlotte, give us a call today! Every single interaction with the amazing people at Triangle Pest Control leaves me KNOWING that they care about me as a customer and a person.